David and Jennifer Allread are pleased to announce the marriage of their daughter, McKenna Clare, to Travis Scott Dowdle, son of Kevin and Natalie Dowdle. They will be sealed on Friday, Aug. 17, 2018, in the Salt Lake Temple for time and all eternity. Travis served an LDS mission in London, England. He graduated Magnacum Laude from Utah State University in biochemistry. He was recently accepted into the MD program at Texas Tech University in Lubbock, Texas, where they will move next fall. McKenna is a senior at Utah State University, earning her degree in Journalism and Political Science. She serves as a Student Senator for the College of Humanities and Social Sciences. 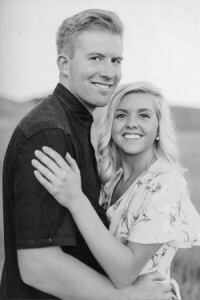 Friends and family of the bride and groom are invited to attend a reception in their honor that evening from 7-9 p.m. in the Shade Home and Garden Center, 435 S. Geneva Road, Orem, Utah.